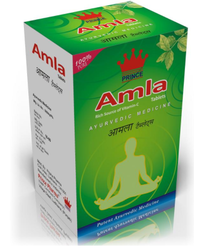 Offering you a complete choice of products which include Ayurvedic Tablets such as Brahmi Tablets, Amla Tablet, Wheatgrass Tablet, Herbal Guggulu Tablet, Herbal Cholesterol Controller Tablets, Ayurvedic Liver Tablets and many more items.Ayurvedic Tablets Ayurvedic Tablets. 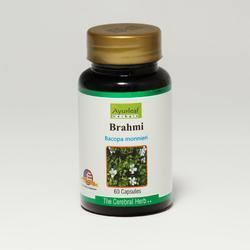 It is often described as the booster Brahmi Tablets for the brain and grows in the foothills of the Himalayas. Medically it is called Bacopa monnieri. In English it is referred as the herb of grace. Other names include Nirbrahmi, Indian Pennywort, Jalanevari and water hyssop. Swallow two capsules with water twice a day before the meals. Amongst its long-term health advantages it works as an anti-oxidant, detoxification, eye disorders, scurvy, hair fall, premature graying of hair, hemorrhage, leucorrhoea, menorrhagia & uterus blood discharge, cold, cough, sore throat and other respiratory infections, indigestion, jaundice, anemia, urination and heart problems, bacillary dysentery and hyperacidity. When the patient complains of Hyperlipodemia this remedy acts as an antagonist at farnesoid x receptor (FXR). It maintains the cholesterol. It is also a regulator as a bile salt export pump (BSEP), an efflux transporter. It improves LDL, maintains body weight and reduces fat. The diet can be taken as per the dosha chart with the ideal weight depending on the age of the person. Description: The stomach is the root of the human body. It needs to be nourished. If it has any imbalance or disorder it can create several kinds of indigestion. This remedy contains tow important medicinal herbs that can keep the stomach in order. 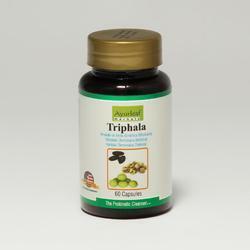 They are Triphala 150 mg and Himej (Terminalia Chebula) 150 mg.
Benefits: If the patient complains of stomach diseases it is designed to cure and improve the digestive tract. It can cure indigestion, anorexia and gastritis. There are no foul gases, constipation. The stomach is cleansed and healthy. 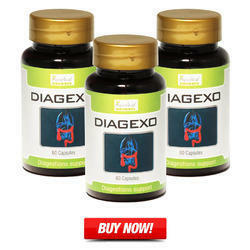 Dosage: 1 or 2 capsules per day as recommended by the physician along with the regular dietand exercise. The diet can be taken as per the dosha chart with the ideal weight depending on the age of the person. It means the benefits of three fruits or myrobalans- namely amala, baheda and harad. Clinically they are called Amalaki (EmbicaOfficinais), Haritaki (TerminaliaChebula), and Vibhitaki (Terminalia). It is a rejuvenator with triple action. Description: With the combination of these three fruits the remedy has anti-inflammatory properties. It works on the regulation of cardio vascular activity, reduces cholesterol and the liver. 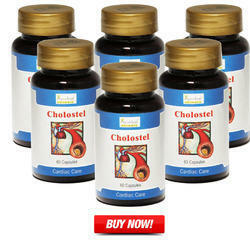 It cleanses the stomach because of its digestive elements. As it is strong in vitamin c it works as an active expectorant. Benefits: It cures constipationand thus works as a detoxifier. Its laxative properties reduce the oxidative elements. It is not addictive and can be used effectively by chronic patients also who have piles. It restores the health parameters. Dosage: swallow two capsules with water at bedtime. This remedyshould not be consumed on an empty stomach, or when having diarrhea or fever. It is often described as the booster for the brain and grows in the foothills of the Himalayas. Medically it is called Bacopa monnieri. In English it is referred as the herb of grace. Other names include Nirbrahmi, Indian Pennywort, Jalanevari and water hyssop. It is a small herb almost like a creeper with many branches. It can be recognized by oval shaped leaves that appear as pairs. White and purple small petal flowers on soft stems with a large fruit that grows on top. It comes in tow species- Bacopa monnieri and Herpestis monniera. It has been in use for more than 3000 years to increase memory and is connected to Lord Brahma. 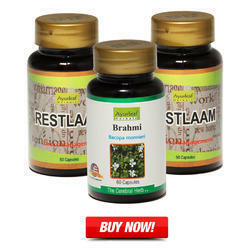 We are distributors and suppliers of Ayurvedic Tablets and Capsules. For Gastric Care we have Triphala, Bael, Sunthi, Trikatu and Yashtimadhu. For Skin Care we have Haridra, Neem and Manjishtha. For Respiratory Care we have Tulsi and Vasaka. 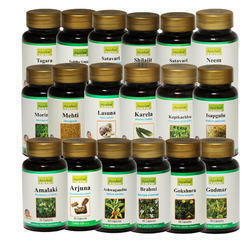 For Nervine Care we have Ashwagandha, Brahmi and Tagara. For Diabetes Care we have Fenugreek, Karela and Meshashringi. For Joint Care we have Shallaki and Shigru (Moringa). For Cardiac Care we have Arjuna and Lasuna. For Immune Boosters we have Amalaki and Guduchi. For Weight Management we have Suddha Gugulu and Vrikshamla. For Women's Health we have Punarnava, Shatavari and Gurmar. 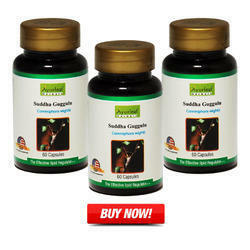 For Men's Health we have Kapikachhu, Gokshura, Shilajit and Spirulina. You can contact us for details. 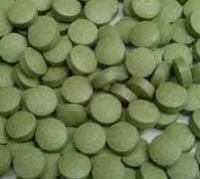 We are manufacturer and supplier of Wheatgrass Tablet.